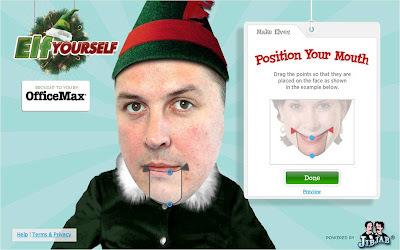 Office Max have brought back Elf Yourself for Christmas 2009 - for the fourth year running, internet users can star as an elf in a Christmas message through elfyourself.com! 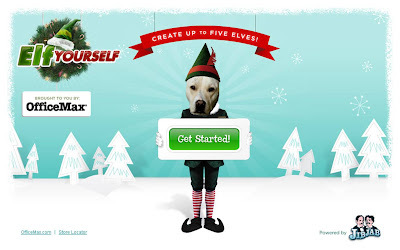 Update 2014 - ElfYourself is back for 2014 - click here! 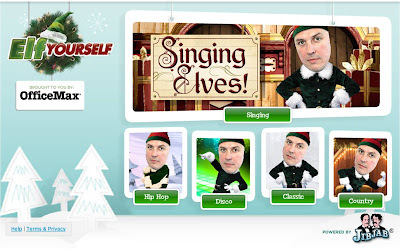 Heres my quick Elf Yourself creation - starring myself as a singing Christmas Elf! 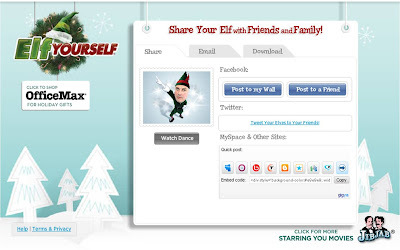 ........though 10th November feels horribly early to be wishing people Happy Christmas!